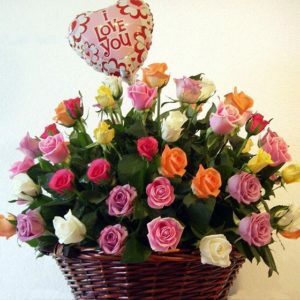 Dazzling assortment of medium mixed colored roses. Order it now online and get delivered the same day anywhere in Lebanon. 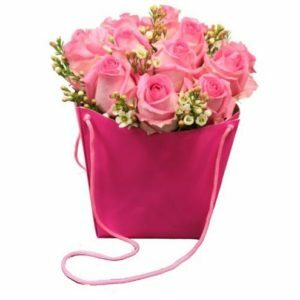 This pure rose Bouquet blossoms with brilliant roses in bright hues to capture your special recipient’s every attention. 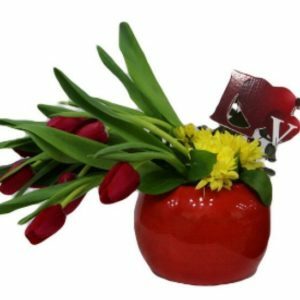 An exceptional flower bouquet presented in a modern clear glass vase. 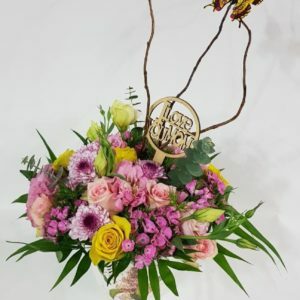 This rose bouquet is set to send your warmest wishes or to celebrate any of life’s special moments. 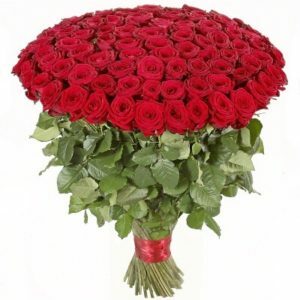 A dazzling assortment of a twenty medium stem Red color roses beautifully arranged and delivered in a clear glass vase. 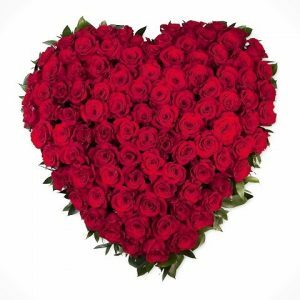 A wonderful way to remind them just how much you care! 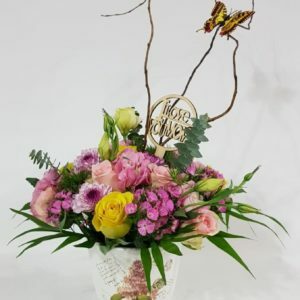 This spirited bouquet holds roses in bold hues – hot pink, orange, red and bright yellow. Certain to be an attention-getter! 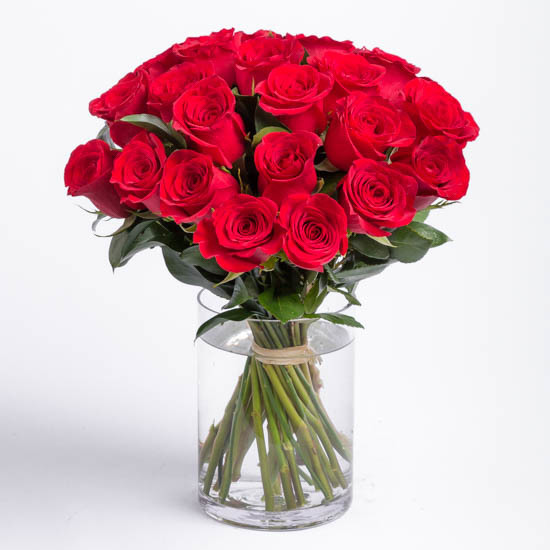 These vivacious roses are arranged with seeded eucalyptus in a clear glass vase. Order it now online, send it to anywhere in Lebanon and benefit from our same delivery service.